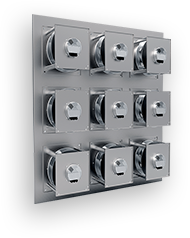 Rosenberg’s ECFanGrid is a highly efficient and energy saving multiple fan array for Retrofit and New Air Handling Unit (AHU) applications. 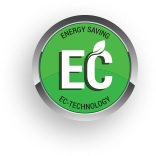 Equipped with our exclusive, easy-to-control EC Motor technology (ECM), Rosenberg’s ECFanGrid is our approach to improve reliability, flexibility, and simplicity in existing or new ventilation systems. Since 2005, Rosenberg Fans Canada Ltd. has had a Canadian sales office and warehouse in Mississauga, ON, and continues to be supported by partnering representatives nationwide. The parent company, Rosenberg Ventilatoren GmbH, was established 1981 in Künzelsau, Germany and is a major supplier of fans, motors and air conditioning units in the international market.